For starters, we’ll look at the most common funeral reading, Psalm 23. He leads me beside still waters, he refreshes my soul. You prepare me a table in the presence of my enemies. Surely your goodness and mercy will follow me all my life. Who affects your job the most? What lasting impact does your job have? I didn’t grow up as a shepherd, and most of my readers didn’t either. Here’s a little background info on them. Diet: Sheep graze from about 3:30 in the morning until about 10:00. They then lie down for three or four hours to rest. It is almost impossible to make sheep lie down while they are hungry. Direction: Sheep will predictably go astray. They’ll wander aimlessly until they have nothing to eat or drink. They can’t find their way back, since they have no internal compass. Dependence: Without a shepherd, the average sheep would not last more than a few days. Shepherds carry a rod, which is usually a thin club a couple of feet long. It’s used as (and looks like) a billy club, or a tonfa, or a small kendo stick. It’s the perfect thing for thumping some heads. Shepeherds are kind of bad-asses. Like a wild west cowboy, but with fluffier animals. Shepherds carry a staff, which is a long walking stick with a hook at the end. Besides being a great way to get terrible vaudeville acts off the stage in cartoons, it is often used to gently guide sheep, sort of like a very short fence. It can also lift up any (hopefully not too heavy) sheep that have fallen into a well or a ditch. David, the Psalm writer, finds the Lord’s rod and staff comforting because he knows that God can use the rod to protect him and to discipline him. God can use the staff to guide and to rescue him. 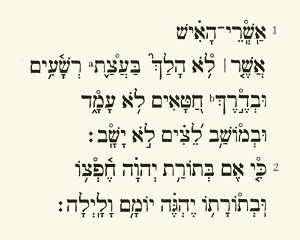 There are seven compound names of God in the Old Testament. Taken together, they map out Psalm 23. What is your still water and green pasture? What is your valley? your enemy? What do God’s rod and staff look like for you? How does your cup overflow?